I moved to Kings Road Laindon, with my family, in 1950. My father had been working as a cowman, on a farm in Epping, but had to give up the job, as he was badly crippled with arthritis in his legs and arms. No machine milking, all had to be done by hand, twice a day. He could no longer sit crouched under a cow, on a little stool, and squeeze away. As we lived in a Tied Cottage, we had to move. So, he bought a bungalow in Laindon. It was built from Asbestos, and stood on a fairly big plot of land, with a large pond at the end of the garden. In this pond were lots of Roach and Carp, and people used to pay 6d, (2 ½ new pence) to come fishing for the day. I was 10 years old, and went to Markhams Chase School for about a year, sitting and passing the Eleven Plus Exam during that time. After the summer hols. I was off to Grays Technical College. I used to catch a bus at the bottom end of Laindon High Road, about 8.00am to get there. I must admit that I soon learnt to hate every minute of my time there. There were a lot of lads from the Romford area at the school, and being from that place, loved to spend their time getting into trouble. The Teachers’ way to punish them, was to keep the whole class behind after school, in Detention. This little trick made us few from Laindon, miss the bus home, so we had to wait until 5.00pm for the standard service to get home after 6.00pm. I got fed up with this, so after a time used to up and walk out of Detention, to catch the special School Bus home. This upset the Teacher, so Mr Bags, the Head was brought into play! Letters went back and forth, the upshot being, I moved to Laindon High Road Secondary Modern after a year at the Tech. Well, this suited me perfectly. I was about ten minutes from home, and went to school with all my mates! In Kings Road lived Danny and Chrissie Jeakins, Eddy and Sheila Stannard, Nick Freeman and Sylvia West. Also a girl named Jacqueline, cannot remember her surname. These kids all lived up the top end, on the concrete road bit, down my end, on the unmade up part lived Jimmy and Alfie Burton, and round the corner in Latimer Way, Alan Hutchins. So, there I was, for three more years, until I reached Fifteen. I was always interested in mechanical things, like most boys, and was accepted for a job at Fred Myers Tractor And Equipment Co, situated a few miles up the Arterial towards London. I bought a new Raleigh bike on the never-never from a shop in the High Street, and went back and forth for about three years, until I decided to join the RAF. This was a bit of a Family Tradition, as both my half-brothers, and my sister had joined up. I went first for a months’ square-bashing, then to RAF Weeton, near Blackpool to be trained as a Motor Mechanic, for three months. My first Permanent Camp, was RAF Dishforth in Yorkshire. I was there for a short while, then came a posting to Christmas Island for a year. During those early months in the RAF, I used to come home on Leave occasionally, and look up my old mates. When the year abroad was up, I was posted to RAF Watton, in Norfolk. 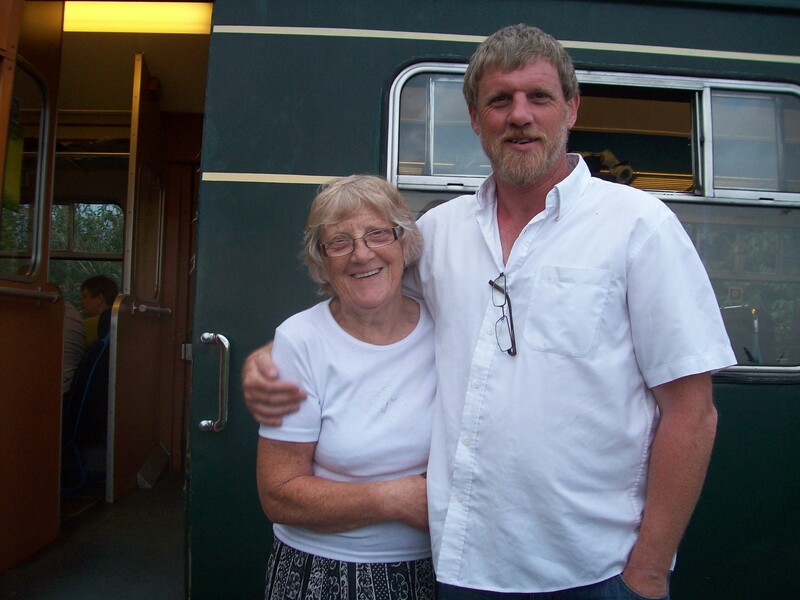 Here I met my lovely Wife, Dorothy, we married and rented a flat in town, and Laindon passed out of my life. Hello Christine, I have been off-line for some time, through various reasons, but hope you and Alan are still keeping well. Did Alan keep on motorcycling though the years? I had different bikes for many years, even when suffering from Arthritis, last big one was a Moto Guzzi V50, 500cc twin, electric start, so I didn’t need to kick start it! Finally gave up aged 72. Hi, can anyone help? I’m looking for Lesley Rayment who lived in King’s Road in the 1980s with her brother and parents. Any info please. Hallo Christine! You are right, I DID buy my Vincent from Alan. We had some great times together, got into lots of mischief. Barry was an RAF policeman, if my memory serves me, and I remember Tony, now. 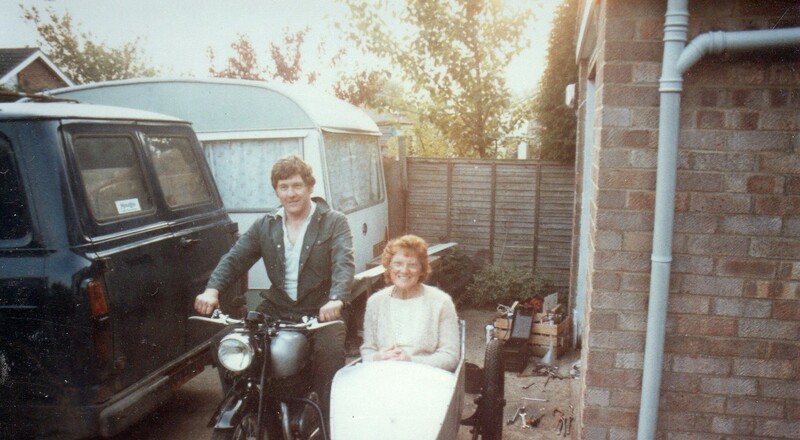 Barry’s first road bike was a Vincent Rapide? 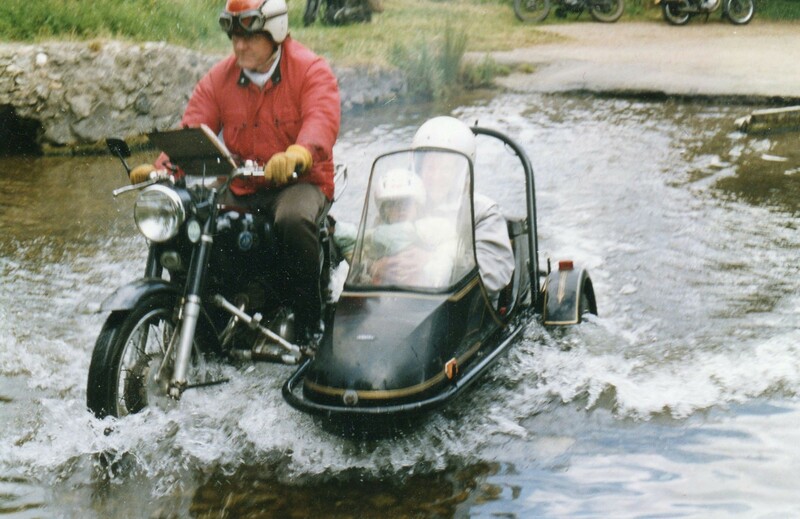 He rode it on L plates ’till he passed his test. No 125cc nonsense in those days. Good to hear from you Ken! If you contact the editor he will provide you with our email address. Alan will be really delighted to hear from you but, by his own admission, ……..he is a complete technophobe! Would it possible to arrange a meeting sometime when we are in Suffolk? Hello Ken! Remember me? I married Alan Hutchings and it’s so good to be read your memories about Kings Road and your life in Laindon. Alan and I often wondered where you lived after your time in the RAF. We haven’t strayed too far from home, after moving to Hertfordshire when we got married we moved back to Little Burstead on what was known as Broomhills estate and Alan’s cousin still lives in Hilfre in Kings Rd. We are really lucky to have a little bolt hole in Dunwich which we spend as much time in as possible, so perhaps we could arrange a meeting during the summer? It would be so good to catch up with all our news. 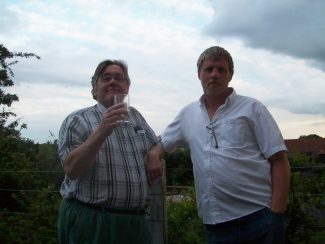 Barry Dale lives in Norfolk but sadly his brother Tony passed away a few years ago. 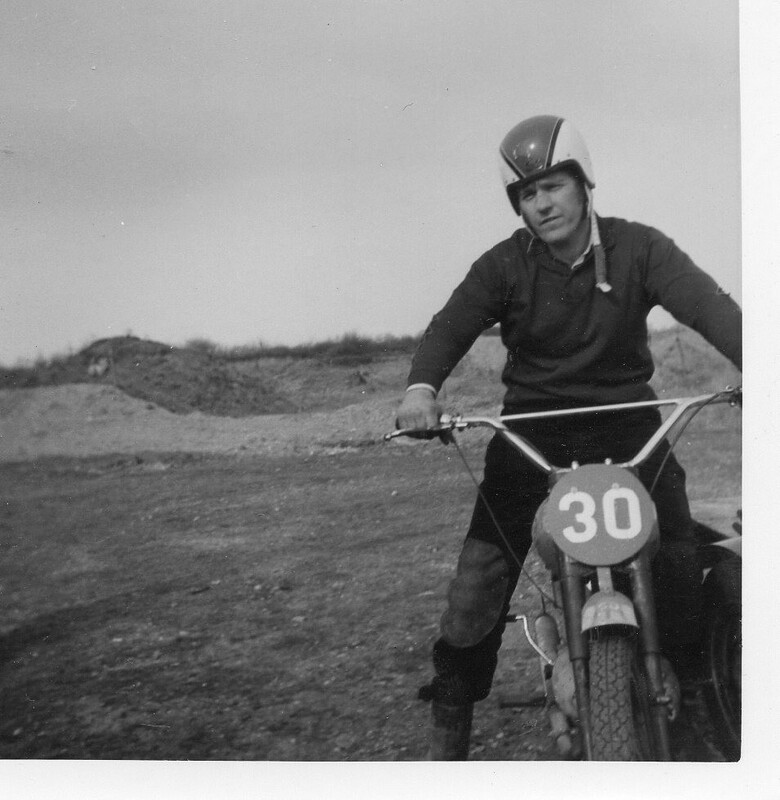 Alan loved reading about your dad’s pond, the motorbikes etc and he is sure you bought his Vincent 500 from him….that right? Anyway Ken, please get in touch with us, I asked the Editor to pass on our email address and we can give you our phone number to arrange a meeting when you get in touch. Keep in touch…..and soon please! Editor: We do not publish email addresses to prevent the receipt of unsolicited emails. Ken. The Jacqueline whose surname you can’t remember may have been Jacqueline Stapleton who lived across the road from my Uncle Cyril and Aunt Florence and cousins Jimmy and Alfie Burton who lived in “The Bungalow”. My Aunt Florence’s maiden name was Stapleton and her brother James lived across the road at No 20 (Jacqueline’s father). Therefore, Jacqueline and I were sort of cousins by marriage. I have a copy of the 1949 Electoral Register, which shows the Stannard family lived at No 12 and the Jeakins at No 14. There were 31 dwellings in the road and some of the names you may remember are St. Andrews, Delamere, Hetley, Avondale, Mooreville, Lyndhurst, St Ives, Hilfre, Oakdale, Homestead, Shangrila, Blea Tarn, Friston, Charleston, The Bungalow, Hilljoy, Kismet and Kings View. (St Ives is still there). I enjoyed reading your article. Some teachers didn’t seem to care how a child got home from school in those days or how late in the day. Pleased to hear you transferred to Laindon High Road School which was much nearer. I went there too and only had a few minutes walk to get home. Do you still live in Norfolk? My sister Anne lives there. It is such a small world. Best wishes.